exclamation had the most liked content! There probably is one somewhere. Hmm... I wonder what the copyright issues would be of me writing a KRDK app for the WP7. I can vouch for that. I'm impressed with how promptly the registrar dealt with the problem. The domain for KRDKSecrets is coming up for renewal in a couple of months. I don't plan on renewing it. The site's been fun but, between work and home pressures, I haven't been able to put in the time and effort that it deserves. So I'd like to thank everyone who's been here and taken part in the discussions. If someone would like to continue running this forum, let me know and we'll discuss transferring the registration. Thank you. I'll bear that in mind. Welcome to the forums. Make yourself at home. Yes to both. The interview was over the internet. And, yes, I'm English. I'm willing to use American terms and expressions when writing from the perspective of an American character, but I don't compromise my spelling. What's the name of your novel? I've found some links to places that are selling DVDs. Unfortunately, not my region of DVDs. Volume 1 - region 3. It's a Danish site, but I think the audio format on the DVD is still English. Volume 2 - region 3. As of writing, this one is out of stock due to high demand. I'm not sure that these things actually work, but it's worth a try. 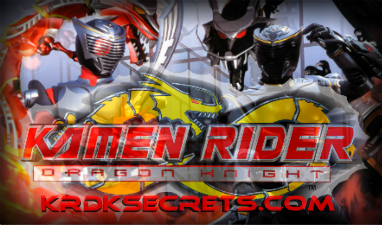 http://www.facebook.com/pages/We-want-a-Season-1-Kamen-Rider-Dragon-Knight-DVD-Set-Release/193494005554?ref=ts Only 139 people on the group at the moment, so it could definitely do with a few more if anyone's going to take it seriously. Hi, Ocean Knight. Welcome to the forums - make yourself at home. I'm echoing Phycogold: your avatar is amazing. If they've got a story for the movie ready, it would be an enormous shame for it to never see the light of day. It's nice to know that the creators of the show want to give us more.